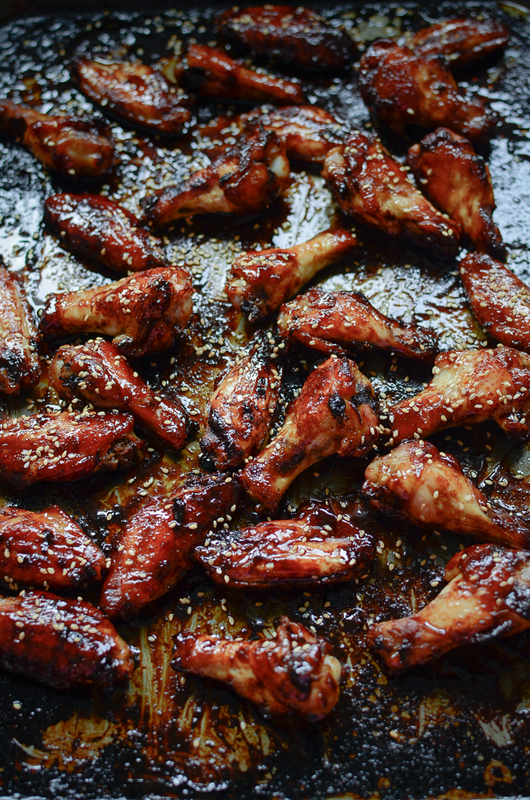 Sticky honey balsamic chicken wings, anyone? 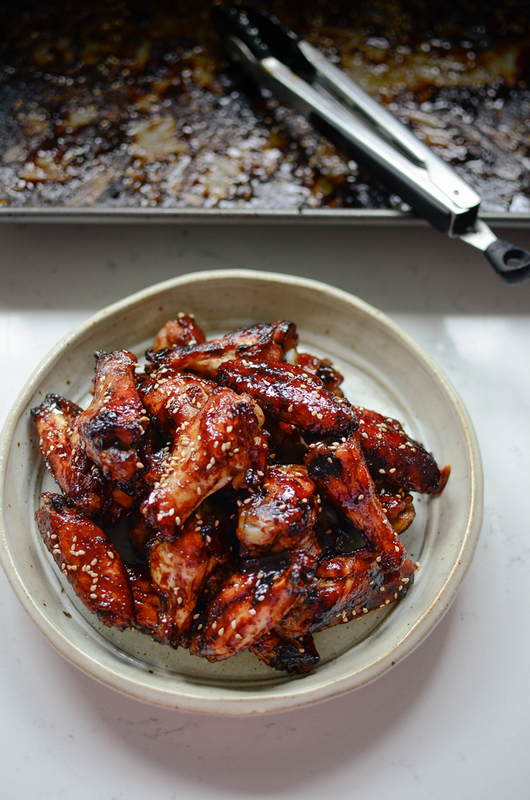 Balsamic vinegar, soy sauce, & honey combination makes wonderful glaze for these oven baked honey balsamic chicken wings. Since they are oven baked, you can tell they are much better for you. 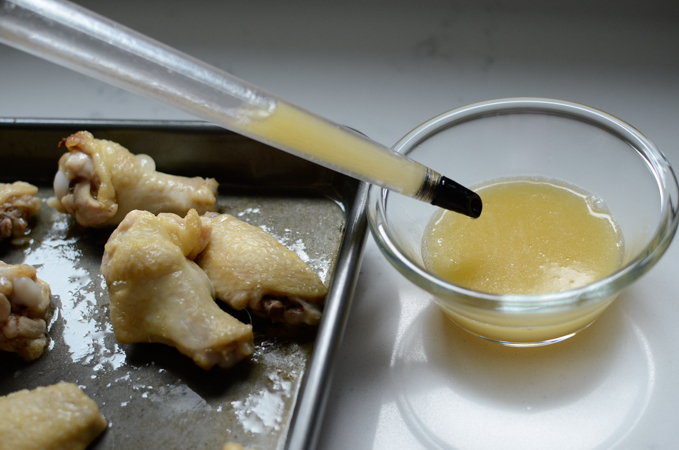 Although you will need to toss the chicken wings with some melted butter to bake them first, you will remove the butter later on before you add the glaze to the chicken ti finish off. 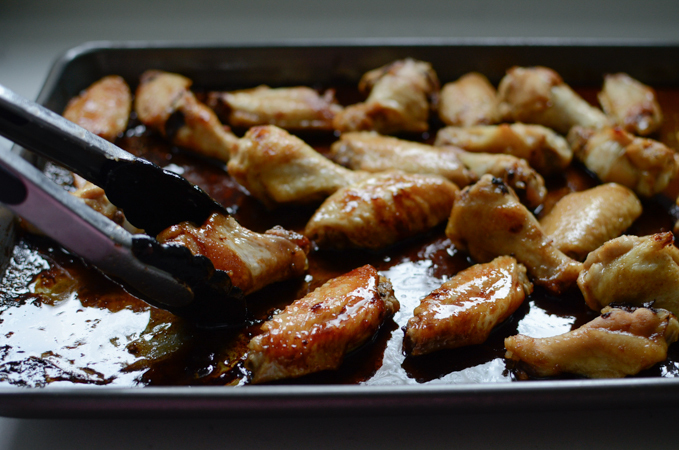 This honey balsamic chicken wings are super easy to make and finger licking delicious. Perfect finger food for Friday movie night, indeed! So gather up the ingredients and bake some wings. TGIF, right? 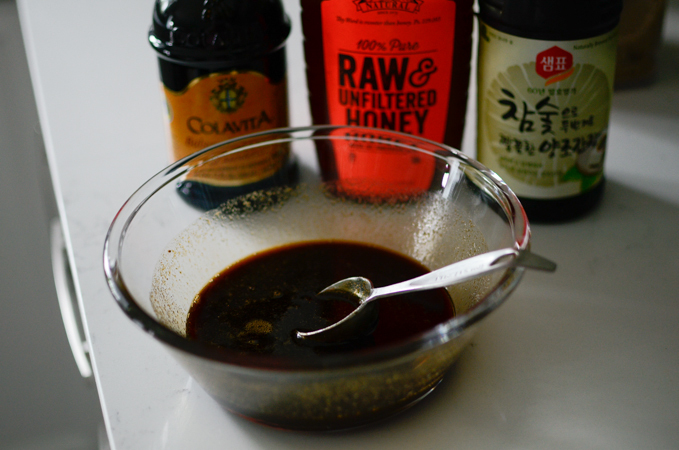 All you need to use for the glaze is balsamic vinegar, honey, and soy sauce. 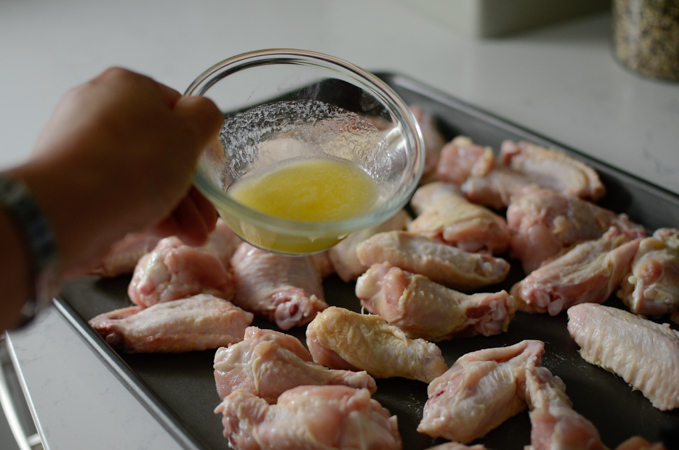 Coat the chicken wings with a little bit of melted butter and salt. Bake them for 20 minutes. Your chicken wings are cooked half way. Get rid of the butter. Drizzle the glaze mixture and return to oven for another 20-30 minutes. You will need to turn them around every 10 minutes to coat evenly. 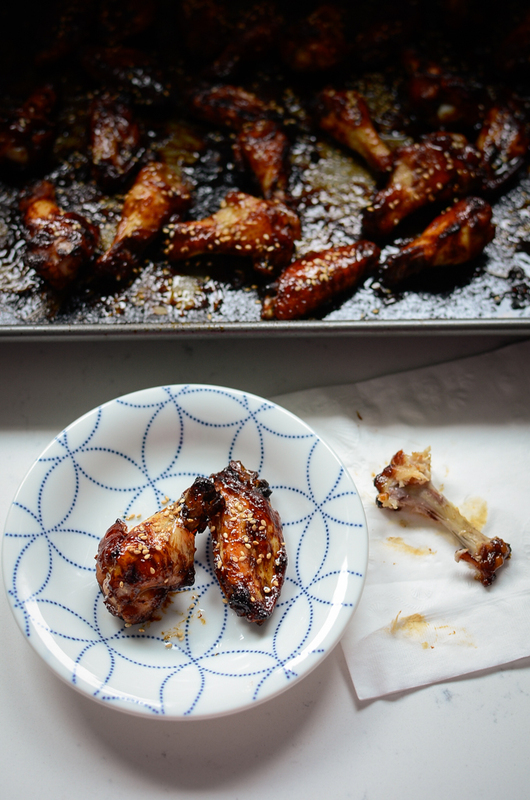 And you shall get these lovely sticky glazed wings. I don’t know who can resist these sticky wings. Make a batch and enjoy them for your Friday movie night. Don’t skip a can of cold drink! Wash and dry the chicken wings. Place them on a baking sheet and mix with butter and salt; toss well. Bake them for 20 minutes. Meanwhile, mix balsamic vinegar, honey and soy sauce. Set aside. Take the baking sheet out of the oven and remove the buttered juice on the bottom of the baking sheet. Drizzle the balsamic vinegar mixture over the chicken and toss. Return to the oven and continue to bake for 20-30 minutes, turning every 10 minutes so the sauce will coat the chicken evenly. When the glaze will get thicken, slobber the chicken to the glaze until it sticks to the chicken. Garnish with toasted sesame seeds and serve warm or at room temperature. Who doesn't like wings? These look great! And such an easy recipe. Thanks! Who knew such great wings were so easy! Fabulous recipe Holly! The addition of balsamic vinegar is inspired.